There's still room! Sign up THIS WEEK!! 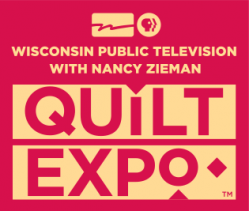 Leave the driving to us on Friday September 8th as we travel to Quilt Expo in Madison. Your deluxe motorcoach will leave FCQC at 7:00 a.m. to take you to the Wisconsin Superbowl of Quilting, Quilt Expo. Your $40 fee includes transportation, driver gratuity and admission into Quilt Expo. You will also receive a coupon for FCQC for a future date. ALSO, your name will go into a drawing and one rider will receive a gift card for FCQC. Make your reservation now. Deadline is extended to Saturday, August 19th. Don't miss this fun trip.